Vintage Restyled has been totally neglected recently. I threw myself into preparing the house for sale and in doing so packed my paint brushes away, cleaned the garage and moved all my inventory to storage. 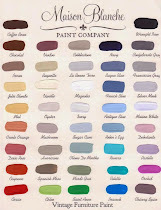 I have to say, I truly miss painting. I have discovered that it’s a stress relief for me. With exciting things on the horizon for Vintage Restyled, I am figuring out a way to incorporate it back into my daily routine. In the meantime, I tweaked both of my spaces last week. 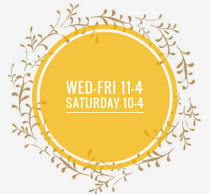 It was a quick trip with mainly smalls added, but I thought I could share and prove that Vintage Restyled is still open for business! Old slate tiles – I used chalk to make it a cheese board. Lots of possibilities. Only $5! I have marked down lots of items! 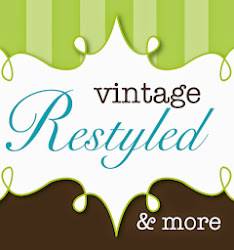 We have some changes coming for Vintage Restyled.